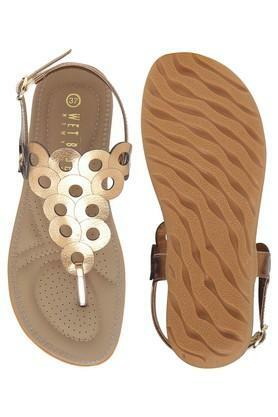 Put your best foot forward by wearing this pair of flat sandals brought to you by Wet Blue. The upper part has been made of fine quality synthetic leather, which gives it a nice finish. In addition, it comes with a buckle closure that will provide you with a proper fit.